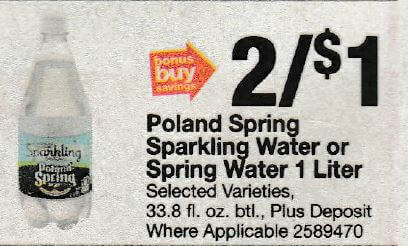 Through 5/18 Stop & Shop has Poland Spring 1 Liter Bottles on sale for $0.79 each. 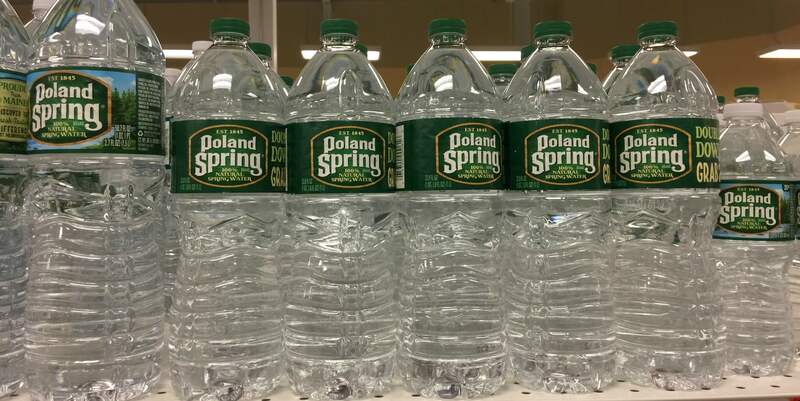 We have a Regional B2G1 Poland Springs Brand 100% Natural Spring Water 1 liter bottles coupon from the 4/09 Red Plum insert. But we also have this awesome Catalina to stack with it! We can pick up 3 bottles for a total of $1.50 we’ll use our coupon, bringing our total down to $1.00. We’ll then receive a Catalina for $1. That makes all 3 bottles FREE! as low as 3 FREE after stacked offers!